Nieuw Vennep, Netherlands, Mitwell (www.portwell.eu) a Portwell subsidiary and world-leader innovator for Industrial PC (IPC) and embedded computing solutions, and an associate member of Intel® Internet of Things (IoT) Solutions Alliance, today announces the market entry of the KUBE-2100, a palm-sized, fan-less embedded system featuring the latest 14nm Intel® Atom® N3350 processor (codenamed Apollo Lake). 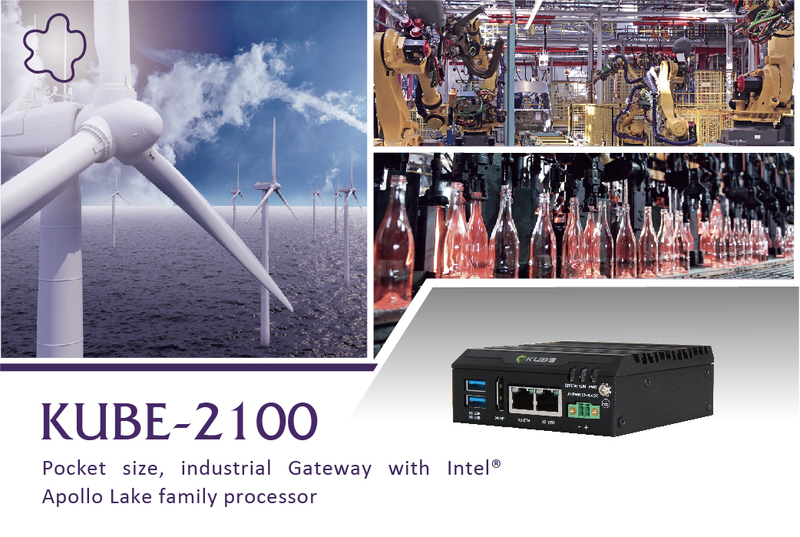 Its compact 95 (W) x 97.4 (W) x 36 (H) mm design, low power consumption, high-performance computing and powerful graphics engine make the KUBE-2100 the perfect solution for harsh industrial automation applications, the factory automation and as a perfect IoT gateway. The new KUBE-2100 Industrial Computer is packaged in a rugged, fan-less case and features the latest Intel® Atom ™ processor N3350 with 2GB (DDR4 2400) memory. The KUBE-2100 benefits from about 30% more computing power and 45% more graphics performance compared to the previous generation and offers the powerful Intel Gen9 graphics with up to 18 execution units and allowing the connection of 4k displays via display port. 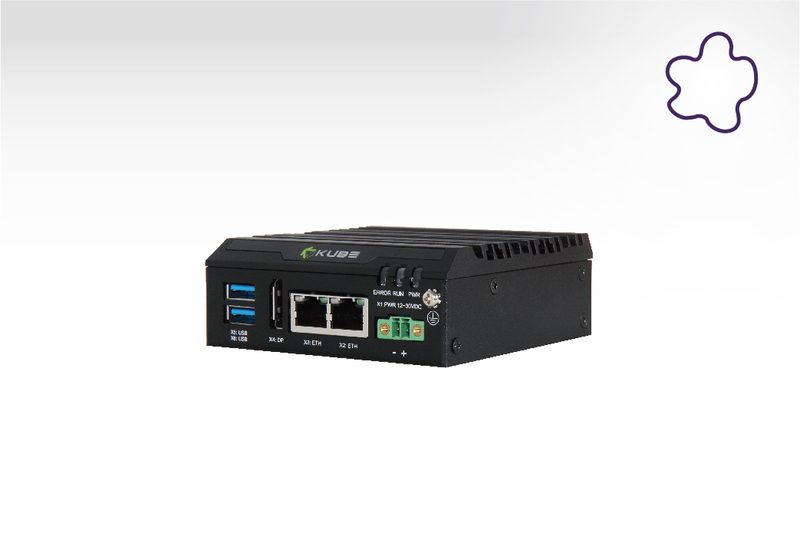 For local data acquisition, the KUBE-2100 offers industrial interfaces such as 2x Gb Industrial Ethernet (Intel® i210) and 2x USB 3.0. The M.2 Key-E, 2230 for WIFI and Key-B 2242 for memory, complete the storage and expansion options, and the compact system is very service-friendly. In addition, the fan-less KUBE-2100 operates with a Thermal Design Power (TDP) below 10W and supports 12-30 VDC +/- 20% power consumption for demanding applications. For use in harsh environments, the KUBE-2100 meets the heavy-industry requirements of EN55022 and EN55032 (EMI) and the EMS standards IEC 61000-4-2, 4-4, 4-5, 4-6, and 4- 8, which contain extended RS, EFT and CS criteria compared to the general industry standard. This makes the KUBE-2100 a perfect solution for applications such as plant networking, process monitoring, environmental management and process visualization.